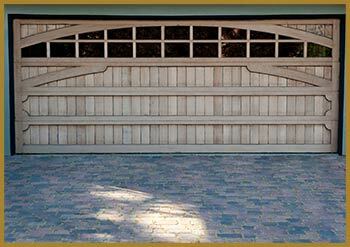 Garage doors are not expressionless entryways, but they are quite crucial in imparting a personality to your home. Because of their prominent shapes and sizes, it is clear that they occupy a great part of your home or office’s frontal space and thus, have to be customized to accommodate your personal preferences and style. At United Garage Doors, we understand how visual beauty matters to our clients and thus, we create elegant custom garage doors to suit your choices. Many people in San Diego, CA area end up spending large sums of money on customization. 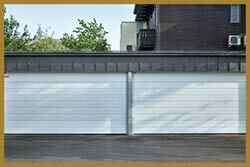 United Garage Doors offers a superior level of customization but does so at very reasonable fees. Our highly-creative and quality custom garage doors services can be availed at a price that will fit your pockets. Although, our services are priced economically, it does not mean that we will choose just about any random, cheap-quality material to build your dream garage door. We offer nothing but the best, affordable and trendy high-quality timber, beautiful fibreglasses and color vinyl plates, high-grade the perfectly-polished steel, a wide range of metals etc. Clients get all the liberty to choose only the best. We have a team of expert and experienced creative designers who can easily identify your needs and then use their artistic abilities to create an elegant custom garage door for your space. Whether you are looking for sectional garage door or a classical swing style one or quite possibly the highly-popular carriage house doors, our experts can get it all made. Apart from this, we’re also requested for bi-fold garage doors, sliding barn doors and wooden garage doors with a frame-and-panel design style. We customize great garage doors keeping your choices in mind. When you opt for United Garage Doors for your personalized door needs in the San Diego, you are assured with a result that will have trendy visuals, smooth feel, high-durability and is made of the finest grade materials. Crafted by skilled technicians, you’ll get a door that beautifies the look of your home and helps you make a personal style statement. Our exemplary quality and economical prices find no match in San Diego, CA area. We also provide all our services with timely maintenance checkups to ensure that your garage door operates in perfect condition. Our highly-skilled team of professionals, quick response to your call and commitment to deliver quality services has made us the best garage door service provider in San Diego. Call United Garage Doors now to know how exactly you can give your home an enhancement with a custom garage door.